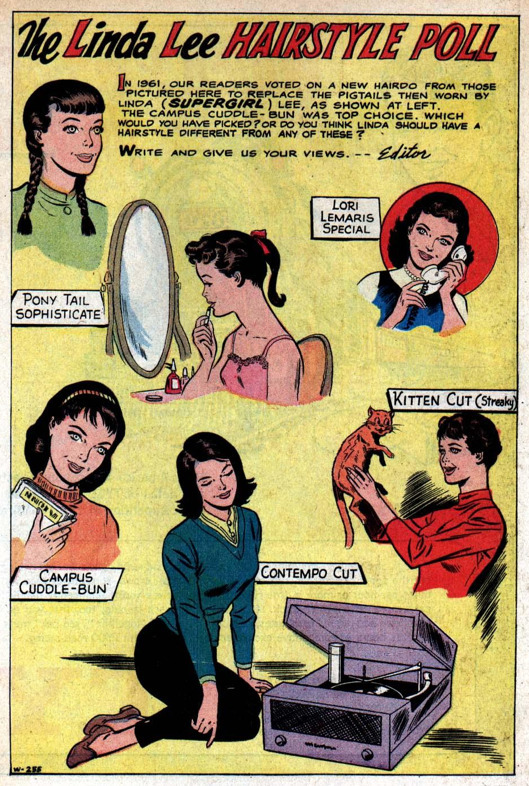 Lots of people online have fun posting frames from 50s and 60s comics that show outdated gender roles and such. It’s fair game but easy pickings. This image is sort of sweet, though, right? If little girls were indeed reading Supergirl comics at the time, I like the idea of them voting on a hairstyle for her alter ego. Found via this terrific piece about Supergirl by Paul Tobin, part of a series of articles he’s writing on heroines.